KAU recruitment 2016-17 notification Teaching Assistant 07 posts :- Kerala Agricultural university (KAU), walk-in-interview for the position of 07 Teaching Assistant vacancies On contractual basis. Applicant may appear walk-in-interview 28th December 2016. Age Limit:- The age of the candidate should not be less than 18 years and should not be more than 36 years. The age of the applicant should be as on 28th December 2016. Qualification:- Candidates should have M.Sc. in Agriculture / horticulture / Agronomy or MVSC. Selection Procedure:- The selection of the candidates will be on the basis of walk-in-interview. How to apply:- Candidates may attend walk-in-interview that will be held on 28th December 2016. Date of interview is 28th December 2016. 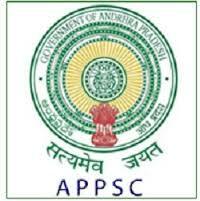 Eligible applicants applying for the position of Teaching Assistant should have M.Sc. in Agriculture / horticulture / Agronomy or MVSC. The age of the eligible applicant applying for the position of Teaching Assistant should not be less than 18 years and should not be more than 36 years. The selection of the eligible applicant applying for the position of Teaching Assistant will be on the basis of walk-in-interview. Kerala Agricultural university (KAU) is a primary and the principal instrumentally of the Kerala state in providing human resources and skill and technology required for the sustainable development of its agriculture / defined broadly encompassing all production activities based on land and water / including crop production / forestry and fisheries through conducting interfacing and integrating education / research and extension in these spheres of economic endeavor. 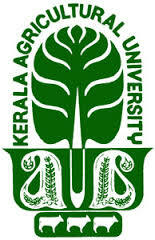 Kerala Agricultural university (KAU) is situated in Vellanikkara,Thrissur, Kerala.